Contrary to what its name suggests, duck sauce does not actually contain any fowl. The name “duck sauce” came about because it traditionally accompanies duck, but it has since evolved to become a dipping sauce for many types of Chinese cuisine. Peaches, plums and apricots give this sauce a sweet, fruity flavor that is punctuated with tangy zing. 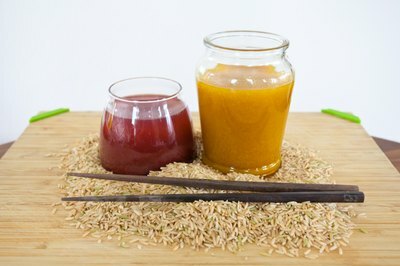 Several variations exist, but you can customize a basic duck sauce recipe to your liking using fresh fruit or fruit preserves. Bring a large pot of water to a rapid boil. Submerge a pound of peaches in the boiling water for a few seconds and remove. Immediately rinse the peaches under cool, running water. Remove the skins from the peaches. Repeat this process with a pound of plums. 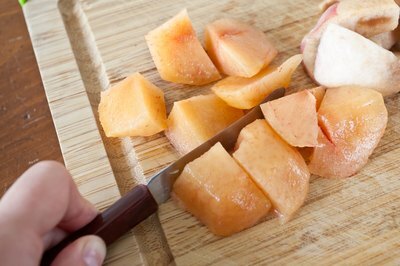 Divide the peaches and plums into eighths, using a sharp knife. Discard the pits. 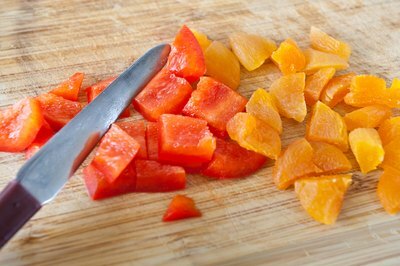 Chop 2 red bell peppers and an equal amount of dried apricots. Add peaches, plums, red pepper and apricots to a large saucepan. Add in a cup or so of sugar -- half granulated sugar and half dark brown sugar -- adjusting the amounts to suit your taste. Add 2/3s the amount of vinegar to sugar. Bring the saucepan to a boil, stirring frequently. Reduce the heat and simmer the mixture, uncovered, for 1 1/2 hours, stirring occasionally to prevent the fruit from sticking to the bottom of the pan. 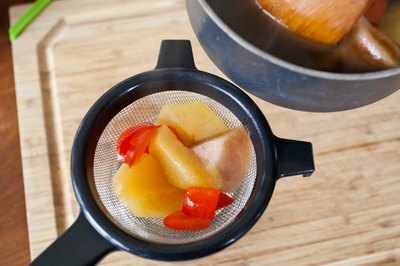 Strain the sauce through a fine mesh strainer, discarding the solids. Store it in an airtight container, refrigerated. Duck sauce will keep for up to 3 weeks. Add equal amounts Chinese plum sauce, apricot preserves, peach preserves, applesauce and a half-part of chili sauce to a large mixing bowl. 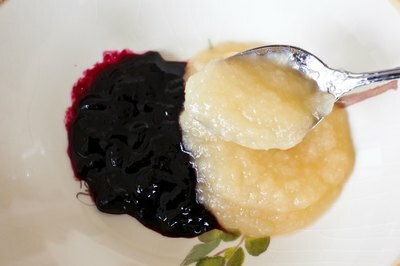 Discard any solid pieces in the plum sauce. 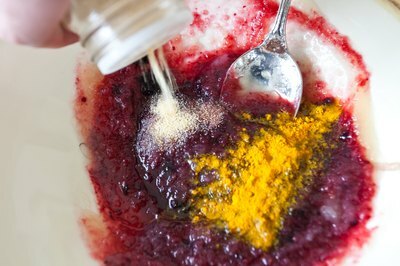 Add 2 spoonfuls of dry mustard and a quarter-part garlic powder. Mix thoroughly. Taste and adjust seasonings. 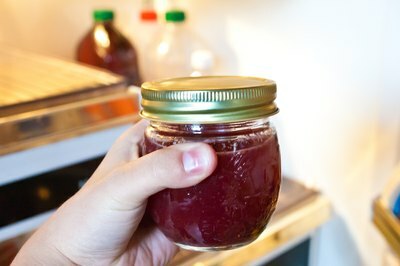 Store duck sauce in an airtight container and refrigerate it. Duck sauce will keep for up to a year. Eat By Date: How Long Does Jam Last?